She wasn't holding anything back. Kathreen Khavari isn't messing around. The actress and producer appeared at the premiere of "Big Little Lies" at TCL Chinese Theatre in Hollywood on Tuesday, wearing a dress with a powerful statement. 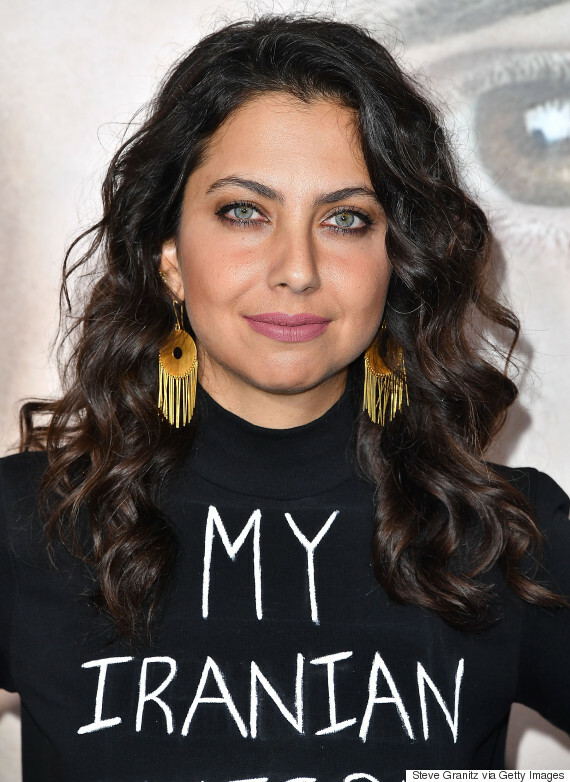 "Last night's red carpet look brought to you by the threat of a fascist America," the "Avengers Assemble" actress wrote on her Instagram page. "S/o to @merrrrrrrm for teaching me that acrylic paint looks great on clothes. Thanks to all the friends and family who encouraged the message & look, and to @alanaoyam who first planted the seed in my head to put my platform to good use," she continued. 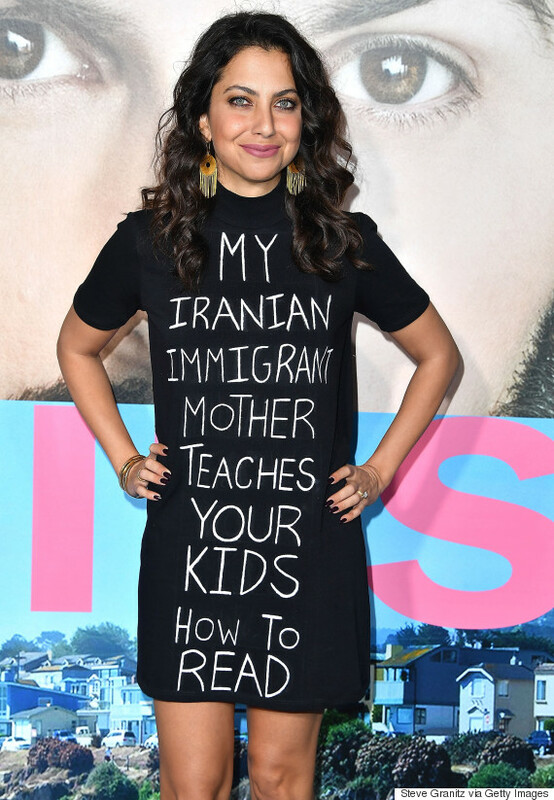 The black dress read, "My Iranian immigrant mother teaches your kids how to read," in white paint. Wearing it with a bold smile, Khavari stood in front of cameras on the red carpet. And although she doesn't mention U.S. President Donald Trump in her social media post, it's pretty obvious this message is clearly directed towards him. Kathreen Khavari arrives at the Premiere Of HBO's 'Big Little Lies' at TCL Chinese Theatre on Feb. 7. In Trump's recent travel ban (which includes Muslim-majority countries and has also been dubbed a Muslim ban), Iran, where Khavari's mother is from, is also on the list. Trump's ban has prompted thousands of people in the U.S. (and in Canada) to protest, and even celebrities like Gigi and Bella Hadid took to the streets in New York City last week.